Don’t let your guard down. Don’t be lulled into a false sense of security. And for heaven’s sake, don’t start the celebration just yet. With the intense cold that’s gripped most of the nation this month, I’ve heard and read countless comments to the effect that at least the frigid temperatures are killing the bugs. Not so, unfortunately. At least not the bugs that really matter. Let’s start with ticks, which aren’t really insects at all. They’re arachnids, like spiders. Ticks are found everywhere in the United States, with species varying according to region. The three most commons species of ticks in Tennessee are blacklegged ticks (also known as deer ticks), lone star ticks, and dog ticks. Ticks don’t die off in winter. Instead, most species find shelter in leaf litter, in piles of firewood, or underneath tree bark. During fall and winter, the ticks’ metabolism slows and they go into a state similar to hibernation. Ticks can go a long time without eating. Snow doesn’t bother them a bit. In fact, it adds another layer of insulation and warmth. For freezing weather to actually kill ticks, the temperature must be ten degrees or below for a sustained period of time. And even that might not do the trick. 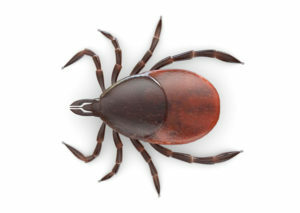 In one blog I read, the writer claimed he’d found three ticks on his pant leg, popped them into an aspirin bottle and put them in the freezer, where he left them for several months. When he finally released them, it took only 15 minutes for the ticks to perk up and start crawling around, looking for a blood meal. Deer ticks are different. They remain active year round, relying on deer as their blood hosts. If the ticks can’t find deer, humans and their pets are a completely acceptable substitute. Though they might take an occasional nap when it’s really cold, deer ticks will wake up and get busy during even a slight warm spell. That’s bad news, indeed, because it’s deer ticks that spread Lyme disease. Cold weather rarely kills off mosquitoes, either. Unfortunately, they’re remarkably adept at surviving frigid winter temperatures. Though mosquitoes can’t function when it’s cooler than 50 degrees, they’re excellent hibernators. Even in cases where the cold does kill off adults, mosquito eggs don’t die. They just hang out and wait for a warm, wet spring day to hatch. Some species of mosquitoes add biological antifreeze to their bodies during winter, which is one reason why they’re able to survive and thrive in places like Canada and Alaska. I’ve heard tales of mosquitoes up there as big as hummingbirds, though I don’t know whether that’s true. All of which means there’s really no getting rid of bugs. So don’t let your guard down. Don’t be lulled into a false sense of security. And for heaven’s sake, don’t start the celebration just yet.